With so many different brands out there, it’s difficult to stand out from the crowd and be memorable for clients. 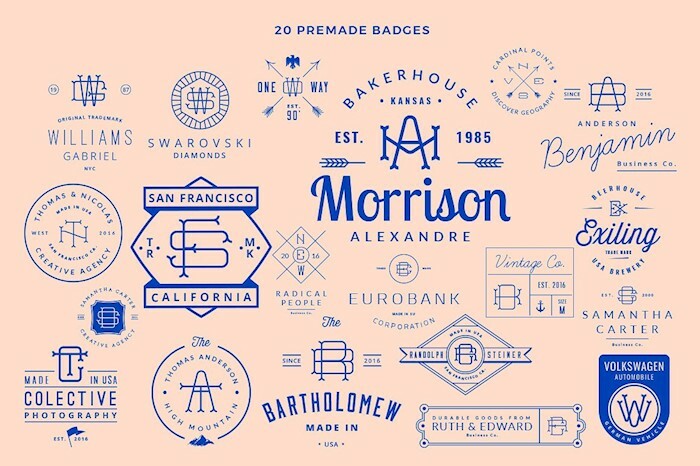 There are numerous ways to create a logo these days. However, a monogram is still a popular choice. 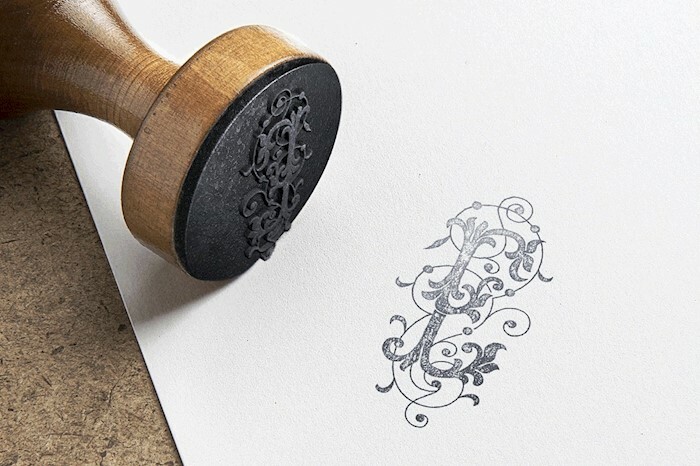 In simple words, a monogram is a design combining two or more letters to create one form or a symbol. The symbols may be a monoblock or merged into a circle or frame. Thus, they are often used for logos and signs. The classic monogram includes three letters. A big letter in the middle is a person’s last name, then on the left is a person’s first name and second name on the right. Monograms can also be used for weddings. 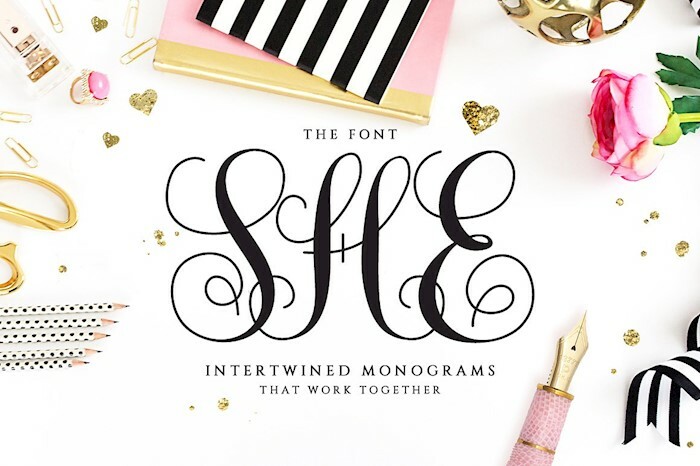 Whether you are going to create a logo for your brand, event, or a specific product, in this collection we have put together 15 best monogram fonts for you. 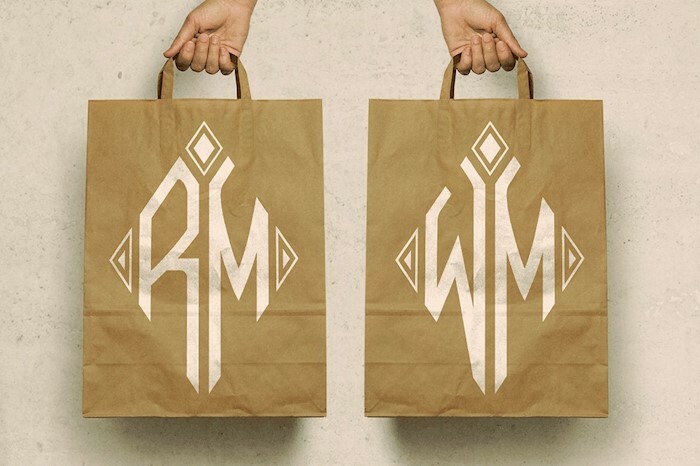 You can use Photoshop to create a monogram or any other editor. Scroll down to choose the font which suits your style. 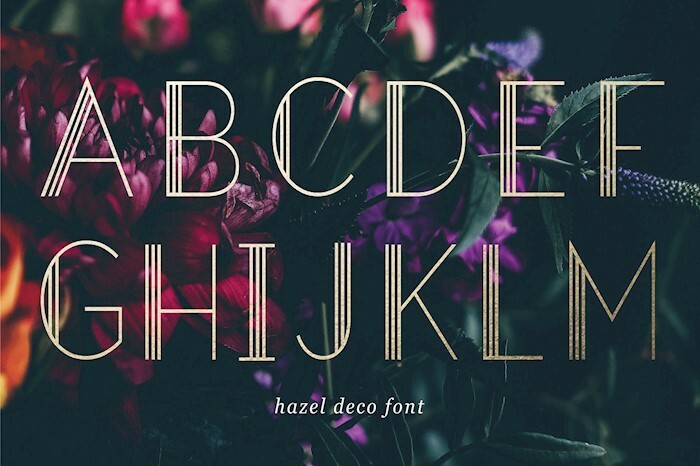 This gorgeous monogram font combines elegance with readability. It will be a perfect solution for wedding, invitations, and blogs. It features 400 characters which can be connected to each other. Monogram World is a bold, stylish typeface with wide letters allowing you to place one symbol on another. It has lowercase and uppercase letters. It can be used for badges and logos. 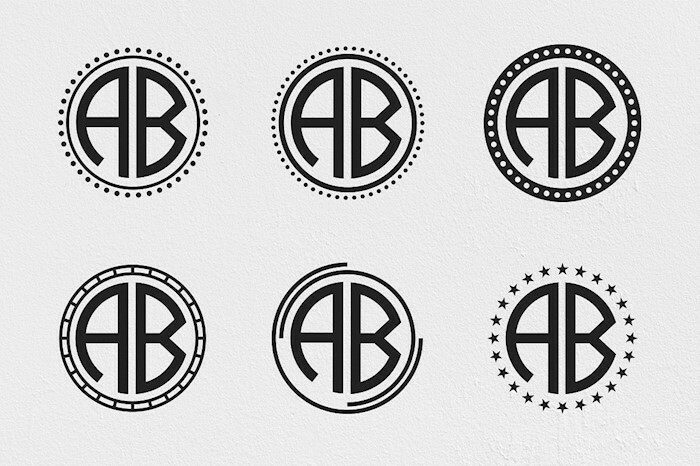 Not all monogram fonts look like they were created in 18th century, and Circle Monogram font proves it. It can be used for adding a unique touch for uppercase characters. Or you can place three letters inside one of the frames and get a complete personal logo. Radon is a large, strong typeface. Each letter of this font can work as a complete design. Just use one letter from Radon and combine it with a word written with sans serif. Here is a grungy monogram font featuring two versions: clean and dirty. It supports 400 uppercase characters and can be combined just putting one letter on top of another. It’s excellent for initials and headlines. 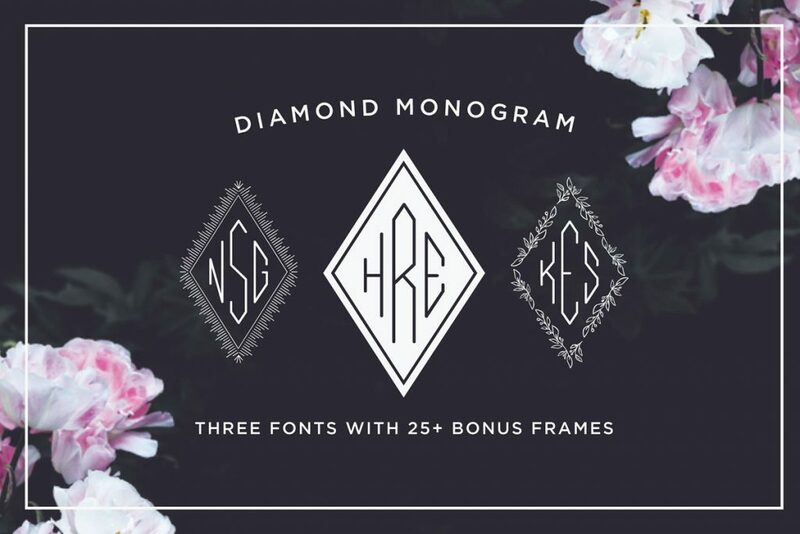 After purchase of this monogram font, you’ll also get stylish frames. You can use them to create a logo, badge, or a sign. Thanks to sharp lines it stays readable and clean. 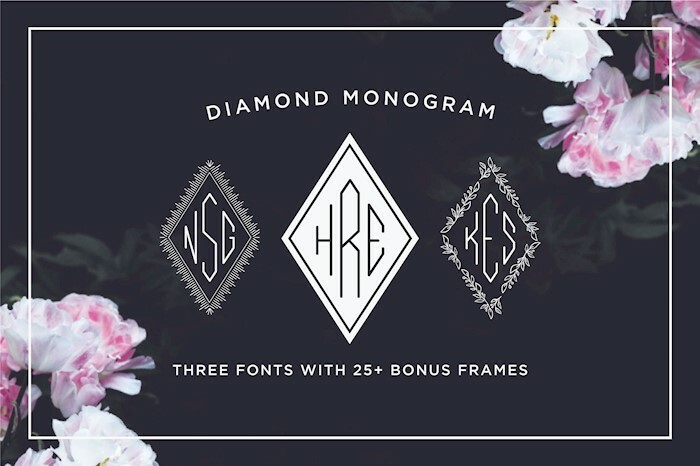 This amazing collection includes a font along with 25 diamond and square frames. 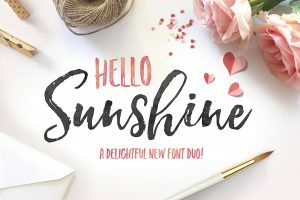 You can use this typeface in multiple software, such as Word, Apple Pages, Illustrator, or Photoshop. 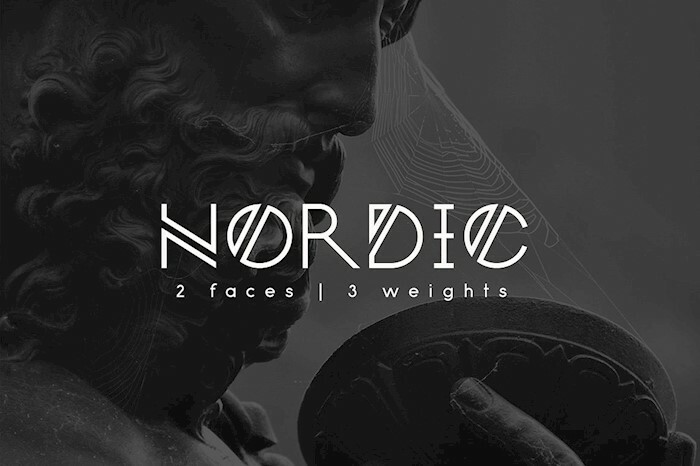 Here is a beautiful sharp font family featuring two faces and three weights. It was inspired by Scandinavian culture. It’s not ornate so that it will be a good choice for clean and minimalist designs. 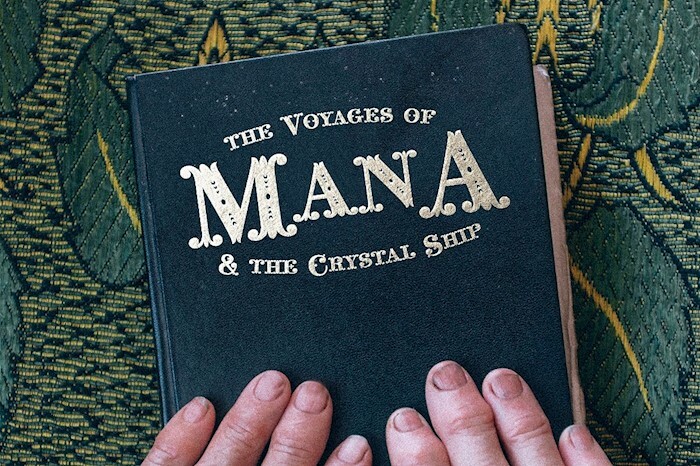 This is an elegant geometric typeface designed in all caps. It’s suitable for wedding or event invitations, blogs, stationery, business cards, and branding. It can be used for personal and commercial purposes. 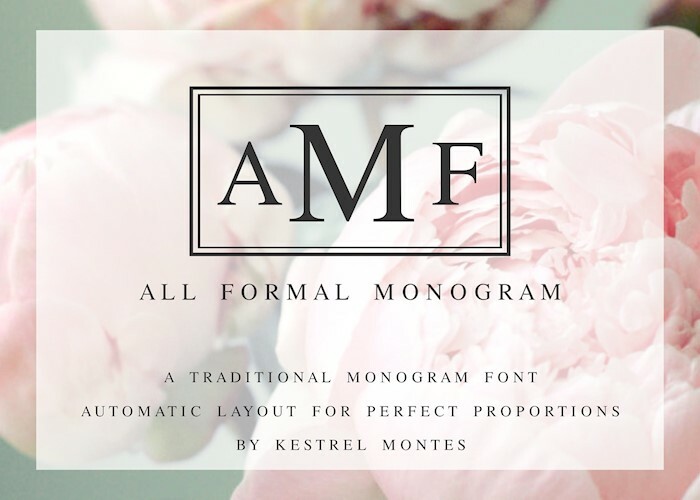 Manoir is a sophisticated and readable monogram font. It works for stamps, badges, t-shirt design, and branding. 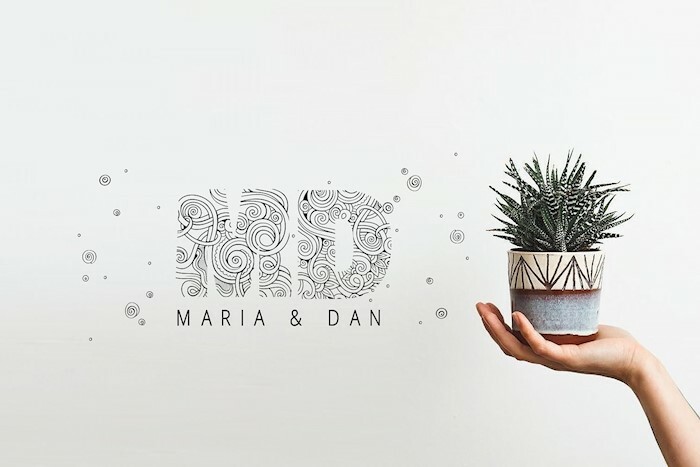 You can easily combine with ornate symbols to get stunning initials. 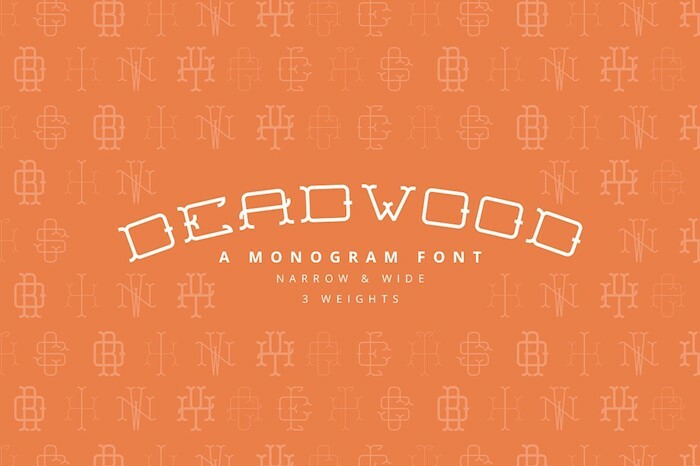 Deadwood comes in several weights, including narrow and wide. It means you can mix and match characters with ease. You can place a wide character on top of narrow one and build a beautiful logo. Here is a straightforward clean font for titles and logos. It has geometric vintage feel and look. It can be used for professional modern designs. 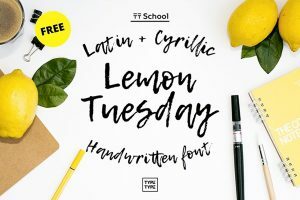 It includes 400 glyphs in OTF format. 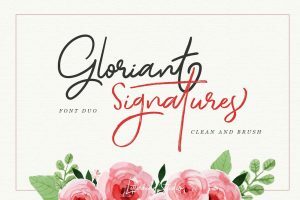 Noir is highly ornate decorative monogram font inspired by an old calligraphy book. It suits classy traditional designs. It will look awesome on the packaging. It also fits for letterheads. 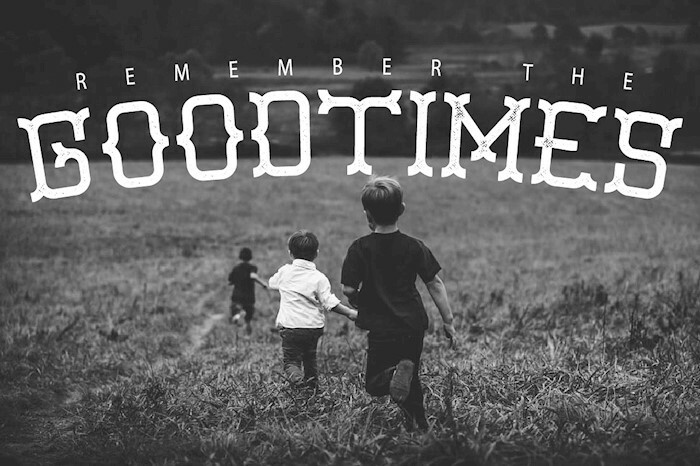 This is a stylish, powerful font with rich swashes and attention to details. Its bold letters are perfect for monograms, initials, and logos. 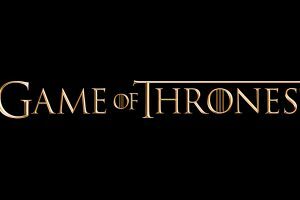 Even one symbol would look fantastic as a logo. Bindi is using modern, classy monogram pattern. Its letters are similar to rhombs by shape. It works best for two letters monogram format. You can purchase and you it today in Photoshop, MS Word, or Apple Pages.